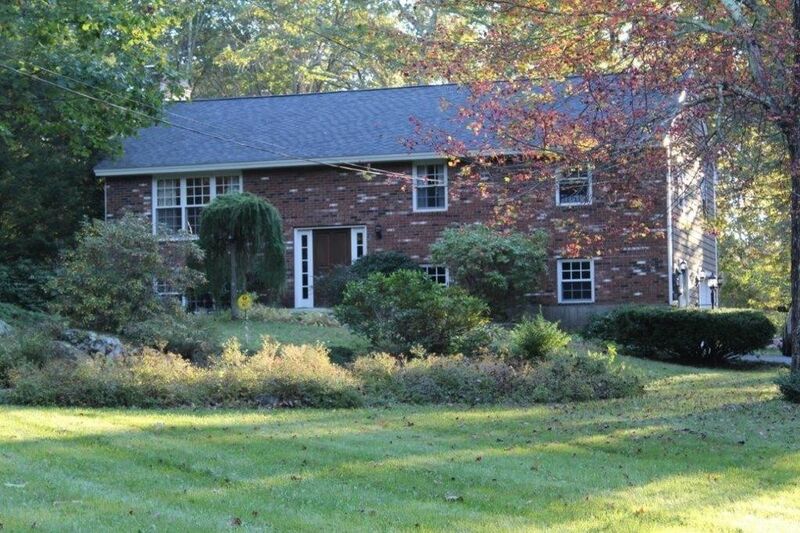 Immaculately kept custom brick front Split Entry set on a beautiful 1.5 acre country road lot. This home has been well cared for and updated with replacement windows, siding and roof along with a 16'x18' mahogany deck which includes storage below. Picturesquely sitting on a gorgeous lot with large, level back lawn w/built in hot tub and a rolling front yard with pretty oak trees, lawn and a water feature/pond. The main level of the home features a front to back living room/dining area with cathedral ceiling, oak floor and brick fireplace, an updated kitchen w/granite, maple cabinets, stainless steel appliances and oak flooring, 3 nice size bedrooms with oak floors and a full bath which includes a sauna. The lower level rooms have bluestone floors throughout and includes a large family room with fireplace, a spacious office/den, bath with shower and a 1 car garage. The floors throughout are beautifully finished and the entire house is in great shape. Easy access to Rt 68 yet private. Directions: 122A (Main Street) to Glenwood Road, left onto Campbell at fork.